Susannah had gotten herself into a relationship with a much older man which led her to becoming a widower with a young son. When Susannah met Max he seemed the perfect man for her seeing that he was also an artist and fit into Susannah and her son’s life perfectly. When offered a job in Vermont Susannah and Max take the leap moving from New York to their new quiet home. Quiet that is until one day Susannah finds a note left that reads “I KNOW WHO YOU ARE”. Max is sure it’s just a joke but Susannah can’t help but wonder just how well does she know the man she married? 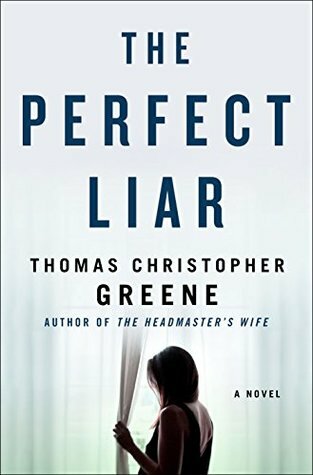 The Perfect Liar is another of those books that when done I felt a bit so-so with it but I look around and seem to be missing something everyone else seemed to see. For me, I never really got to care a bit about Susannah or Max but that is something that sometimes happens with thrillers that I go into not trusting the story, you have “liar” in the title and it can’t be helped. However, it didn’t take long for my own theory to form about the outcome and again I pretty much figured out where it led so that was also a bit of a let down. Sure there were twists and turns along the way but seemed predictable to me leaving me with that meh feeling in the end. I will again chalk this up to reading too much for my own good since I seem to be in the minority with most being a lot more excited. THOMAS CHRISTOPHER GREENE is the author of six novels, including the bestseller, THE HEADMASTER’S WIFE. His fiction has been translated into eleven languages and has won many awards and honors. 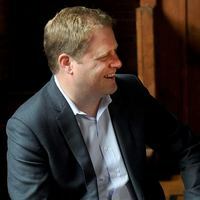 In 2007, Tom founded the Vermont College of Fine Arts, a top fine arts college, making him the youngest college president in America at that time. He lives in Vermont. Thanks Sandy! Sorry you didn’t get a copy but if your library is like mine they usually get St. Martin titles right away. Thanks Mackenzie! You may feel differently because it’s another I seem to be the odd man out. Honestly sometimes I think not liking a book depends on what I just finished and my mindset! I believe there are books I’d like better (or worse) if I read them at a different time! I think that happens to us all. I’m sure some I read early in life might bore me these days since I’ve lost a lot of patience with slow titles. Wonderful review Carrie. I need to read this one soon, but am disappointed to think that it will be too predictable. Thanks Carla, maybe it won’t be as bad for you as I seem to be on the opposite side with this one again… that darn reading too much I suppose. You never know, I think a lot depends on my frame of mind when I am reading a book. Very true, I try to put some to the side and come back to them when they aren’t grabbing me at first try.. doesn’t necessarily help very often but sometimes it could.